By pulling the latest data from the ESA's Planck Mission project, a physics professor from the University of Washington has created an auditory representation of the Big Bang. Physicist John Cramer produced the audio by mapping sound frequencies to the changes detected over time in the cosmic microwave background (CMB) radiation. The project is similar to one he produced 10 years ago using NASA's Wilkinson Microwave Anisotropy Probe (WMAP), but this one reflects the latest data. He also created a broader frequency spectrum which goes into the higher frequencies, which Cramer says adds higher fidelity. Cramer says the emission profile of the CMB radiation peaked at 379,000 years and dropped to 60% intensity at 110,000 years before and after the peak emission time. 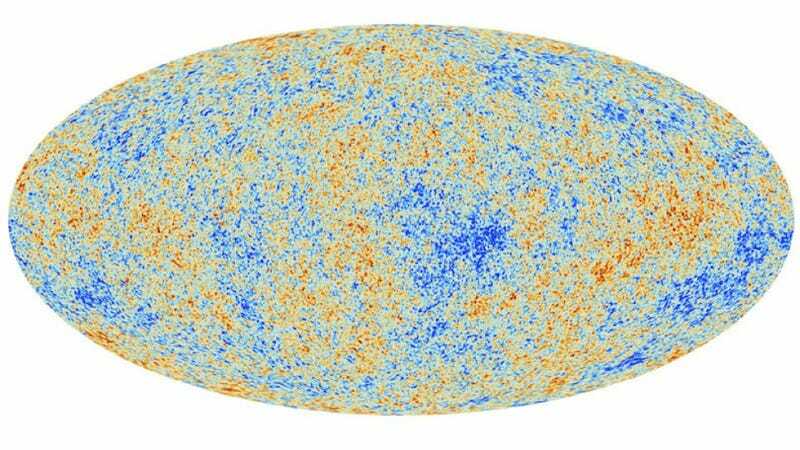 "The universe was expanding and becoming more of a 'bass instrument' while the cosmic background radiation was being emitted," he writes. "To put it another way, the expanding universe 'stretches' the sound wavelengths and thereby lowers their frequencies." The entire 100 second clip represents the first 760,000 years of the evolution of the universe.